I have been a PHP SE owner for many years now (since 2013) and the most basic functions have not yet been fixed and improved. See I am not a PHP savvy, if I was I would build my own engine, SE should be something for people who only have semi knowledge in such coding. But SE PHP has failed me numerous time, support and bug response is pretty much useless. I have been considering to use Cloud instead. A way different concept ( I don't know why ) but less work, less headache. Since SE team never lived up to their promise to make SE PHP and SE Cloud compatible to be able to import content gtom PHP to Cloud or vica versa - although ironically they made that happen with Ning - I know that my 7000 members will be pretty much a loss I will have to somehow have them sign up to the new website, but I do want to know if it would be worth having Cloud SE over PHP or I should just move and use an entirely different engine. Thanks for your feedback. Would you please let us know which bugs in our issue tracker you are speaking of? Here's a link to our Github issue tracker, https://github.com/socialengine/phpv4-issues/issues . If we know which bugs you are referring to, we can check the issues. If you've not submitted them, please submit one issue per report so that our team can look into fixing them. Regarding support, would you kindly send your complaint to the attention of Kyle so he can check on any issues you had with support? We do try very hard to ensure that clients are satisfied. Regarding the importer to and from SEPHP/SECloud - that is something on the list but we need to get our 4.9 version out first, which is coming in beta very soon. You might like the improvements in that version. Regarding moving. I have my own websites on another script. I hadn't upgraded those to that scripts v4 version as it's so bad, I won't make my members experience that sort of mess. As such, I looked at just about every sn out there. I've decided to migrate to SE as it's the only one I've found that will work for my sites, has the security I want, and doesn't have the issues I've seen on the other scripts I researched. Note that I don't frivolously move my sites around either (which is why I've not upgraded it though that script's v4 version has been out for a few years now). I hope this helps you decide what to do. If it were me in your shoes, I would wait and see what 4.9 comes with. There are a good amount of fixes in it from what I've seen in the fixed issues list. phpv4-issues - The purpose of this repository is to collect SocialEngine PHP public bug reports and feature requests. If I wanted a plugin designed for my site, are there people offering such services in this platform? gs A general (general because I'm on the PHP side, not Cloud) suggestion (if you haven't already done this): browse through all of the existing Plugins because you may find one that does what you need, or is close enough that you live with it or ask that particular dev if they're willing to enhance it. After searching for many months, and contacting devs with specific questions on their Plugins, most of my (long) list of requirements was met with the 150+ Plugins on my site. I have had about a dozen customized (anywhere from 1 - 50 hours each) so far, along with actually having a Plugin developed from scratch (since there was not other way of doing it). My personal experience has been good with devs customizing their own Plugins (Social Engine Solutions, Social Engine AddOns, Hire-Experts, and seTweaks so far), and major work (some completed, some still in progress) by Social Engine Market on other devs Plugins and a customized Plugin as well. Do your research first, especially if your looking for something more than a few hours. Many people praise a dev for a great job on a 2 or 3 hour customization, which (for the most part) is easy to accomplish by many devs here. It's the bigger jobs (many are MUCH larger than my project) that really show how good a dev is, especially in communication and getting it right on the 1st or 2nd time around (some devs make you wonder if they bother testing anything they code). Wishing you much success! 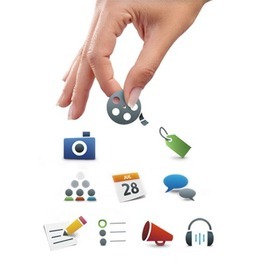 Hey guys, anyone know if socialengine cloud support oio publisher advertisement management system to manage ads on my website? Bought pages from HE that have installed on SE,want to incorporate then on sign up...but Not as pages but churches and get them on my Main Menu as my church....any help will be appreciated. Hire-Experts Hello! Could you please provide more detailed information regarding your idea and we will try to help you. Thank you. Sam Please add a soundcloud plugin that allows members to post soundcloud music/audio files to a site and appear in the feed as well...! How to install TEST SocialEngine? We have a site built on Social engine. I want to have a duplicate of that site so we can test modules on it. How can I install a Test site without buying another Social Engine subscription? Stepan Mazurov You can use the same license key on any subdomains attached to your domain, so what you can do is set up, say, staging.yourdomain.com and its totally fine. I do not think the new owners of SE check this community site, so if you find a bug, want a feature added, or have a suggestion post it on this site. We would like to be able to prevent duplicates of the same shared URL. In our case, we have a news site, and currently its possible that we have many users all sharing the same link, which dilutes the content. Ideally, we want to avoid any duplicate content, so the ability to check this at submission time would be ideal. Separately, it would be a neat feature to comment 2 duplicate link threads into a common thread. (Move comments from one thread into another, then delete it). We would like the ability to add a comment to a shared link (as opposed to sharing the link, and then going back to comment on it). The idea is to curate a link, so that we can leave the link description and title fields related to the link, but the submitting user can quickly add their opinion / comment to the link at submission time. Anything new with SE5? Any new plugins or themes? This is an important notice for developers still using HTTP plaintext connections. On January 14th, 2014, connections to api.twitter.com will be restricted to TLS/SSL connections only. If your application still uses HTTP plaintext connections you will need to update it to use HTTPS connections, otherwise your app will stop functioning. John Sharkey I have the same question! A list of the must have social engine plugins some of them you may know and some you may not know . Eugene That's a good list. There are so many different plugins right now it may be pretty hard to pick the right ones. We have helped to build a lot of different communities within last 6 years. I want to share my own insights how to pick plugins. With so many plugins around it's easily to fall into impression the more plugins you have the better it will be. That's not correct. Almost every plugin adds an additional section to your community. That may be blogs, albums, videos, pages, etc. You will need to make sure there will be enough activity and new content in each section. For example, forum section without any new posts for days will rather be a bad thing for your community than having no forum section at all. It's not complex to surprise your members later on and add a new section when there is a clear need. Remember, it's easier to add something than to remove a "dead" section with user’s content in it. 2.Choose functionality based on community niche. Your community is unique. Choose only plugins you feel are essential for your niche. There should be 1-3 main plugins, they might be custom. For example if you have a travelers community that may be a plugin to post travel reviews, possibly with markers on the map. In case you are into hiking niche - consider some backpacking plugin, so community members can discuss and divide their supplies for a trip. For any sports or gaming community you may need 2 types of plugins: events plugin (or any alternative like adv. events, schedule, etc.) and plugin to organize matches. The plugin for matches should have some basic ratings so it will be possible to rank members each period. 3. Make sure there is a place for discussions. Almost every community needs a section where members can discuss things. That's where you can get feedback from users to see how your community is doing and plan future improvements. This may be a forum, discussions within groups/pages plugins or questions&answers section. Don't create a lot of empty sections or categories there. Start with ~4-5 categories. Add more new once you have enough content for a new category. 4. Add plugins that will save your time. One of the main problems for any community is spam and moderation challenges. There are few different plugins to prevent spam posts and help to ban/delete spammers quickly. Our team has released two plugins that we use for every custom project: Honeypot (anti-spam) and Moderator Toolbox. When are considering a plugin - always think if adding it will help your community members to collaborate. 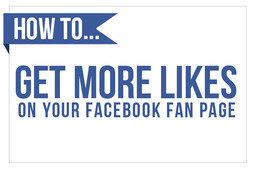 The article explains how to increase the number of fans or likes on your Facebook fan page. I have been looking for a code or addont that can be used to create a "share button" for my SE website on external websites. Searching for it here or on Google didn't get me anywhere. Any help or info would be great, Thanks! AA Looking for something like this http://www.socialengine.com/customize/se4/mod-page?mod_id=1095 Apparently that's an old page and the product doesn't even exist. Any help is very much appreciated. Thank you! Robin Share button is included in SE Cloud. You probably use PHP?